I just planted a sunflower patch in my yard this year. I mostly did this to save money because my husband has a sunflower seed habit (he always has a dish of them at his desk when he's working. He goes through AT LEAST a 1-lb. bag a week), but now I'm even more excited about them! They truly are an amazing plant. What a fantastic post! They are indeed a great food source. Thanks for sharing your outdoor post on The Maple Hill Hop this week! @Betsy: Lol! I'll bet that is quite a list. 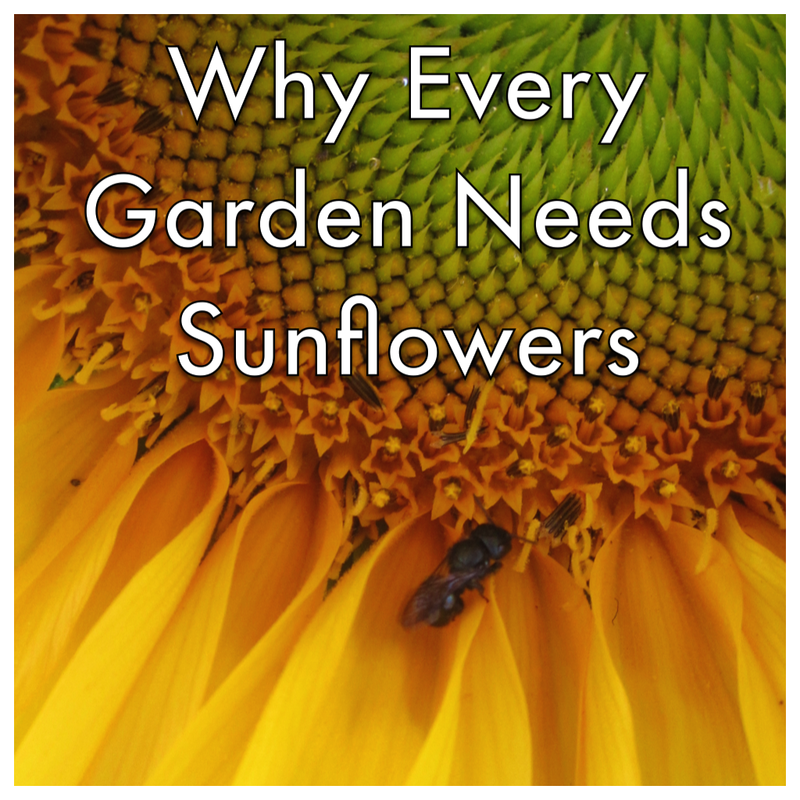 I grow sunflowers every year for the birds and the bees. I usually grow the Autumn Sun variety, and they are so pretty and popular with the wildlife! @Dave - Thanks for the tip. I'll have to put in some Autumn Sun next year. Hmm, can only find Autumn Beauty. Same thing? I miss sunflowers!! (Can you tell I' a Kansas girl??) May have to add to my garden for the coming year. @robbie - Definitely you need to add them! :) What is happier than a row of sunflowers. I grew a few in my garden this year and so glad I did. LOVED that you wrote on the glory of sunflowers in a garden. <3 !! I love sunflowers! I grew Teddy Bear sunflowers last year, but this is my first year growing full sized sunflowers. I can't wait till they start to bloom! Thanks for sharing at Green Thumb Thursday. I hope you'll stop back and link up again this week! @Lisa: Teddy Bear sunflowers are so cute! I should grow those again. I love to have a variety of sunflowers - all sizes, colors! Thank you for hosting Green Thumb Thursday!